Always on the lookout for new recruits, the United States Marine Corps was looking for a modern way to attract Corps hopefuls. Music Download Cards turned out to be the perfect solution. 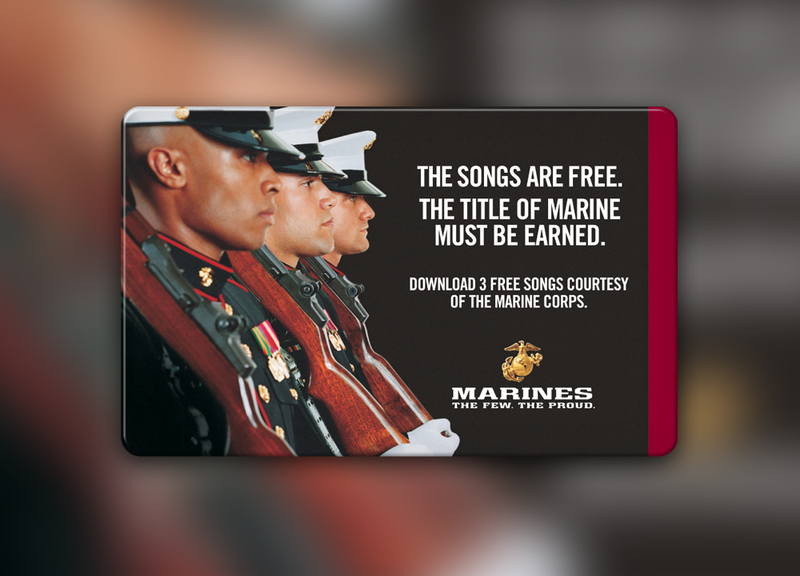 Targeted specifically towards young candidates these branded cards provided the user with two FREE songs. 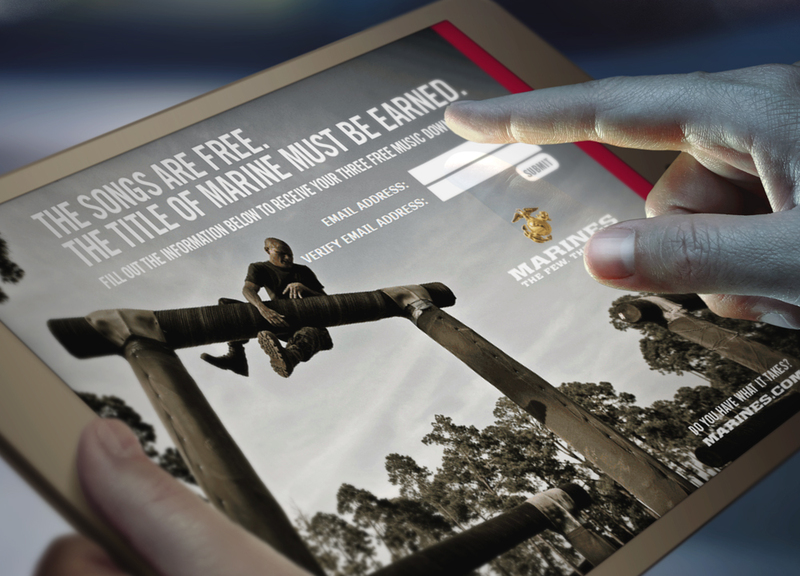 They also brought the recipients to a branded landing page which allowed the Marine Corps to collect important survey and contact information from the candidates who had requested more information. The recruiting effort not only brought forth new Marine men and women, but also served as a lead generator for Marine recruiters.